SALMO – A unique partnership between the Village of Salmo, local entrepreneurs and a California investor has made possible a cutting-edge arts and cultural hub centre in Salmo offering everything from Village art windows, a Village art and culture garden, a unique reclaimed building materials and salvage boutique, custom upholstery & leather works shop, tattoo shop and art studio. The Grand Opening is scheduled for May 20, 2017 with the official ribbon-cutting at 2pm. The arts and cultural corner is located at Main Street and Highway 6 and is centred on a municipal building converted by Heritage Hub Inc. into a creative art and retail centre. The master of ceremonies (MC) for the event will be Michael “Bug” Deakin, owner of California-based parent company Heritage Salvage and feature live music, art displays, and tours of the facility, Village art windows and plans for the Village art garden. 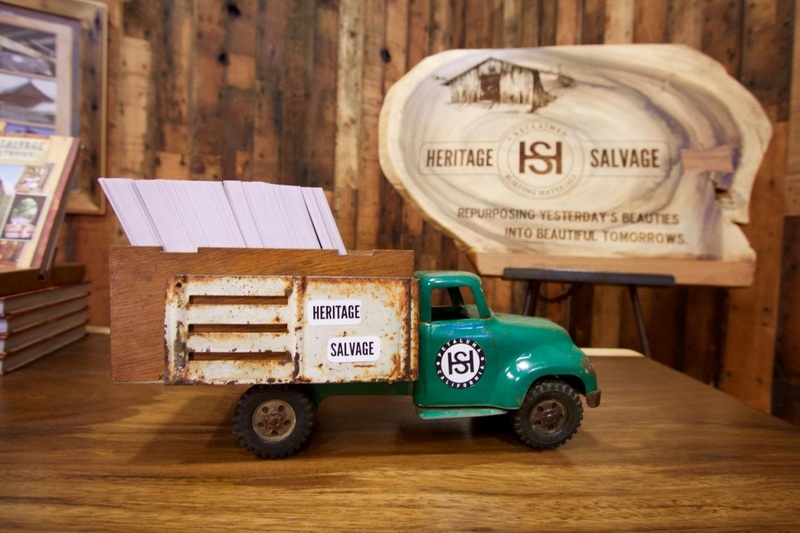 Heritage Salvage has been featured on the Do-it-Yourself (DIY) national television network. The promotional video can be viewed here. Upgrades to the municipal building by Heritage Hub Inc. were significant and included mold and radon remediation, new ventilation, erection of the entire building for foundational repair, among other upgrades and represent a financial and in-kind investment by Heritage Hub Inc. over $100,000. A 3 minute video of the construction period can be viewed here. Learn more about Heritage Hub Inc. by visiting their website www.heritagehubcanada.com or Facebook page at www.facebook.com/heritagehubinc.com. The Village Art & Culture Garden is 30 x 80 feet located directly adjacent to the Hub and will be constructed later in the year and as funds permit. 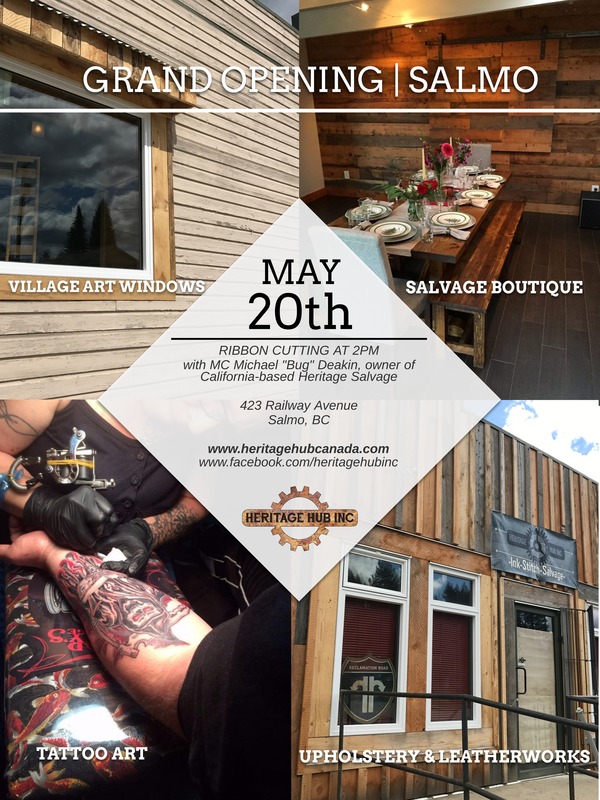 The Village Arts Windows are along the outside of the Heritage Hub building and are open by application to artists to display their art in 4 month periods by application to the Village of Salmo.